We Finance here - rates start at 2.99% Banks, Credit Unions, Finance Company's and our own "In House Lending Program" to help "build or rebuild your credit" We Finance Here All Credit - Good Credit - Bad Credit- No Credit - We Do it all here!"! This 2013 Dodge Durango SXT AWD has only 74,749 miles, is a 1-Owner with a clean Carfax history and the previous owner took great care of the vehicle & it shows. The paint looks excellent with a deep glossy shine and the interior is very clean with no unusual stains or unusual odors. The vehicle was just fully serviced & inspected, everything was up to date and it comes with $0 deductible nationwide warranty at no cost. Mechanically this Dodge Durango SXT runs and drives very nice. It starts right up and idles smooth, accelerates & shifts nice and it drives great at highway speeds ( 65-70 mph ) with no unusual noises and it drives nice around town as well. It has the 3.6 Liter which not only gets great gas mileage, but has proven very dependable over the years! This 2013 Dodge Durango SXT AWD comes with 3rd Row Seating power windows, power locks, cruise, air conditioning, tilt wheel, cruise, alloys, back up camera, premium radio with is an upgrade, cloth package, heated seating, blue tooth,,and more, its one great looking, great driving fun driving machine that not only performs well but is very enjoyable to drive, and its beautiful inside and out. We have financing options available for all types of credit history ( good or bad ) and we take trade in's. We offer over 36 lenders here, among them are Local and National Banks, Credit Unions, Finance companies! We love helping good people whom had had bad luck on their side, so we also offer Guaranteed Credit Approval for anyone that needs to rebuild their credit, those with no credit, slow credit, bankruptcy, repossessions, medical collections and more, just be able to prove your income with either check stubs, bank statements, company letter or some other form of payment to you for your income, self-employed also, also you'll need some form of banking such as checking, savings or debit cards, its easy here. .
You can reach us by Phone or text us at either 765-482-2811 our office or at 317-370-6223 my personal cell phone 6 days a week from 9:00 AM to 7:00 PM. Our email is theautoshop101@gmail.com, you can also ask us questions or send your documents there for approvals. Make sure to check out all Pictures of the vehicle on our website, they are very detailed and will give you a great idea of the condition. Thank you for looking. At J&M Auto Sales Inc, we are here to make purchasing your vehicle as easy as possible. We partnered with some of the leading financing institutions to make it happen. 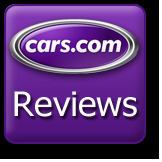 Check out these reviews from Happy Car Buyers! Located in Lebanon, Indiana, J&M Auto Sales Inc is a pre-owned, late model dealer that provides customers with a complete automotive experience at competitive prices. J&M Auto Sales Inc is dedicated to customer satisfaction and we have provided you with a map, as well as our address and phone number to help you find us easily.